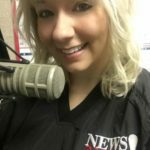 A Bridge to Hope, Fort Wayne Recovery and several Kosciusko County organizations are continuing their efforts to address the opioid epidemic locally. 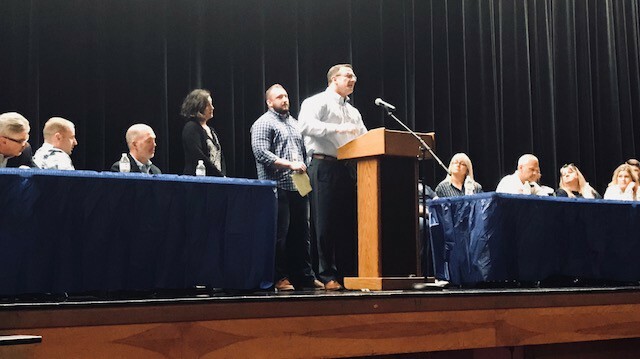 The third “Opioid Call Out” in Warsaw was held at Lakeview Middle School Monday night and drew a crowd of over 75 people. Among those in attendance were Mayor Joe Thallemer, Warsaw-Wayne Fire Territory Chief Mike Wilson, Warsaw Police Chief Scott Whitaker, Kosciusko County Sheriff Rocky Goshert, Prosecutor Dan Hampton, and Republican nominee for sheriff Kyle Dukes. The focus of the event was the impact the crisis has on first responders. A panelist of speakers took attendees along every step of a 911 overdose call – from the family who makes the report, those who work in the dispatch center, the emergency medical technicians who respond to the call, to those who work in the emergency room and ICU. Each speaker had a similar message: The cycle of addiction is hard to break, but we can’t give up on people in our community. Kosciusko Community Health ICU Coordinator Liz Campbell spoke about how the stigma of addiction needs to stop. “This is a really disturbing phenomena coming across our country right now and all of our self-righteousness …has to go. Because the person next to you could be a drug addict. They might not be using heroin, but they could be addicted to prescription pills. That’s often how it starts,” she told the crowd. A similar story was told by the Moellinger family, whose son Nate went through opioid addiction, resulting in two overdoses within a 24-hour timeframe before he got help. His parents describe addiction as a cycle fueled by guilt and shame. Nate’s father said cleaning up those feelings helps addicts to move forward with recovery. “It’s not an excuse for poor decision-making, but it helps us understand … the person has potential and value,” he explained. Nate urged first responders not to give up on addicts, no matter how long it takes. He says the impact of them caring got him where he is today. Kosciusko County Coroner Tony Ciriello was clear that he wants the opioid crisis to end. “Help put me out of a job,” he said. Though the county has gone from 24 overdose deaths in 2017 to only two so far in 2018, pending toxicology reports, Ciriello says the decrease is due to the use of Narcan, the overdose-reversing nasal spray. Turkey Creek Township Fire Assistant Chief Brian Richcreek said that the initial dose of the life-saving drug has increased over the past few years. “A lot of these drugs are very potent, using synthetic formulas, and use a mixture of a lot of chemicals, which means low effect of Narcan,” he said. The initial dosage used to be 0.4 milligrams, but now it’s 2. Richcreek said they often have to use even more – up to 6 or 8 milligrams – to bring people out of their overdose. The panelists said there are no socioeconomic boundaries when it comes to who is using opioids, and the scenarios seen by first responders and medical professionals are heartbreaking. Everyone agreed that the community needs to continue to come together and raise awareness, negating stigma for those who need help. Another town-hall style meeting will be held in August with a focus on education. The Rose Home will also be holding an opioid conference Oct. 19 and 20. The public is invited to attend.